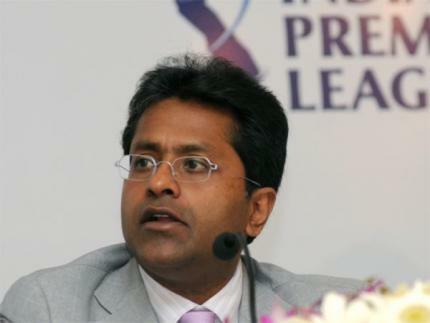 Maverick cricket administrator Lalit Modi, currently in self-exile in the United Kingdom, is likely to be hit with a life ban after being found guilty of rigging bids in favour of two franchisees in the Indian Premier League by the disciplinary committee of the Board of Control for Cricket in India. The issue will be taken up at the BCCI's special general meeting in Chennai on September 25. The committee, made up of Board vice-president Arun Jaitley, finance committee chairman Jyotiraditya Scindia and former IPL chairman Chirayu Amin of Gujarat, submitted an exhaustive 133-page report into Modi's alleged financial wrongdoings on Tuesday, based on which the action is likely to be taken against him. The report, which was distributed among the BCCI's member units, found Modi, who ran the IPL for its first three editions before being sacked on the day of the 2010 final, guilty of misusing his powers and of financial irregularities when he was IPL chairman. A report by the BCCI's disciplinary committee accuses former IPl chairman Lalit Modi of trying to form a rebel league while in exile in London to create dissension between the Board and the ECB. The charge against Modi of rigging bids in favour of two franchisees in the IPL comes in the form unreasonable clauses added to the tender document to block other bids in favour of two companies when the league was expanded for the first time in 2009. He also allegedly concealed the loaded clauses from the IPL's governing council. Modi is charged with rigging bids in favour of two franchisees in the form unreasonable clauses added to the tender document to block other bids when the league was expanded for the first time in 2009.Modi also faces charges of rigging the IPL’s Internet and broadcast rights. Modi also faces charges of rigging the IPL’s Internet and broadcast rights. At its September 25 special GM, the BCCI will need a two-thirds majority — translating to a minimum of 21 votes in a house of 31 votes — to oust Modi once and for all in the from of a life ban. The Board comprises 27 full members, in addition to Kolkata’s National Cricket Club, the CCI in Mumbai and All-India Universities, all of whom have a vote each.